Keeps the cat sand in the box and not all over the floor. Petmate High-Back Litter Pans adds a modern flair with a fluid design that fits any home decor. 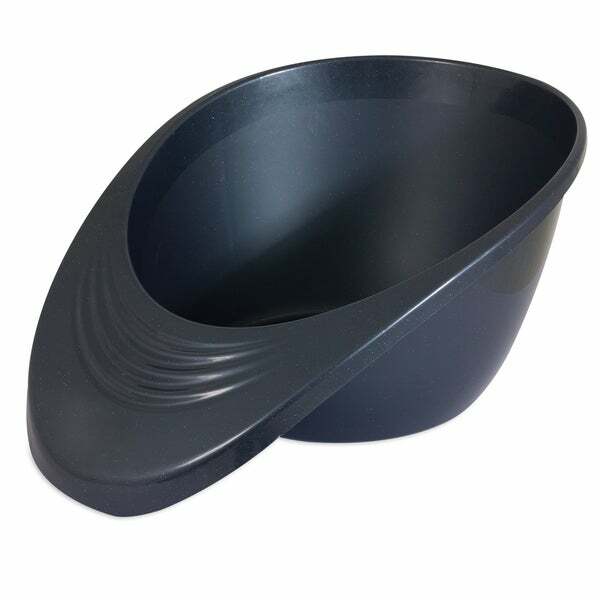 The functional and aesthetic features of the High-Back Litter Pan will benefit both pet parents and pets. Smooth, rounded edges and a low front provide effortless entry for bigger cats and high-polish finish make each pan sturdy and easy-to-clean. Features a deep wall design and a high-profile backside that helps to reduce litter scatter. Great for messy cats to keep your home litter free. Constructed using a durable, eco-friendly plastic that is designed to be long-lasting. The open box design also makes it easy-to-clean. Dimensions 23.79 In. X 19.75 In. X 11.99 In.